People aren't exactly upfront about receiving Botox therapy for facial wrinkles. Maybe it seems a little vain, in a world full of problems, to focus on erasing a few wrinkles from your face. Could there possibly be anything gained, aside from a youthfully smooth brow, by taming the ability of our faces to fully express our inner thoughts? Eric Finzi thinks there just may be. Equal parts physician and artist, Finzi runs runs two successful dermatology practices in Maryland, and also creates emotive epoxy resin portraits that are featured on the walls of a swanky San Francisco art gallery. You could say he is obsessed with expression, with how our inner thoughts are reflected on our faces. And, lately, with how changing the way our faces respond may have a remarkable effect on those emotions. Finzi's notions are not really new. In 1872, 13 years after Charles Darwin shook up the field of biology with On the Origin of Species, he debuted another controversial work — The Expression of the Emotions in Man and Animals. In it, he asserted that not only do we all react similarly when upset, but we can also alter the process by simply changing how our facial muscles are set. Amy Schaffner of Elite Salon and Day Spa: "Happiness is the one emotion I associate with Botox." "The free expression by outward signs of an emotion intensifies it. On the other hand, the repression, as far as this is possible, of all outward signs softens our emotions," wrote Darwin. The philosopher William James famously reinforced Darwin's theory that facial expressions themselves help to cue up our emotions. "The more rational statement is that we feel sorry because we cry, angry because we strike, afraid because we tremble, and not that we cry, strike or tremble because we are sorry, angry or fearful, " James stated. "Without our bodies' ability to express the emotion, it ceases to exist." And that's where Finzi and botulinum toxin come in, albeit a century later. The relationship between facial expressions and emotion — touted as the facial feedback hypothesis — has been real for Finzi since long before he knew he'd be a doctor, or even an artist. "I didn't understand what I saw, but I knew it was important," he writes in his book The Face of Emotion: How Botox Affects Our Moods and Relationships, published in 2013. As a 5-year old, he observed his depressed mother and realized, "I was hard-wired to react to what my mother was expressing on her face ... But this day was different. Mom looked at me with a deeply etched and furrowed brow ... etched from many moments of angst, moments hidden except by the telltale signs between her eyes. That day her frown spoke to me in a very visceral way, alerting me to her inner suffering." Whenever we are sad, angry, worried or scared, the corrugator supercilii muscles — they're located between the eyes — pull the eyebrows together. Since 2002, nearly six million people have elected to receive a series of botulinum toxin injections into that corrugator, paralyzing it and resulting in a relaxed, younger-looking forehead. After treating dozens of happy, appreciative patients in the year following initial FDA approval of cosmetic Botox, Finzi the dermatologist began to conceive something that a younger Finzi couldn't have grasped. "As I became aware of an important feedback loop between the brain and the muscles of facial expression, I began to suspect that Botox could help control the flow of negative emotions ... Could I change moods and help depression simply by preventing a negative facial expression?" he writes. Finzi followed up on his epiphany with a small clinical trial. He tested 10 patients of a clinical psychologist, all assessed at 20 or higher on the Beck Depression Inventory (BDI), indicating they were moderately to severely depressed. Two months after the Botox injection and halfway through its effectiveness, since it lasts 4 to 6 months, nine out of the 10 patients in the initial trial "were no longer clinically depressed by DSM-IV criteria or by their BDI-II test scores," Finzi first reported in a 2006 issue of the journal Dermatologic Surgery. The bulk of The Face of Emotion details both the background of facial/ emotional connection studies and favorable results from Finzi's intensive research with 74 moderately to severely depressed patients, using randomized, double-blind placebo controls. The book has been out for nearly a year, and while he waits for word from two psychiatric boards, as well as "phase 3 studies" and ultimately, he hopes, FDA approval of Botox treatment for depression, Finzi says he's "pleasantly surprised" by the response so far. "People are reading the book and realizing that there's a lot of information out there, and one of my tasks was to get different fields of medicine to talk to each other. I'm trying to forward the research, and I believe it will be accepted down the road," Finzi says, speaking from the office of his dermatology clinic in Chevy Chase, Md. "Like all new things, people are kind of cautious." And the majority of the population still resists injecting a poison between their eyes. "But any drug, improperly used, can have an adverse effect," Finzi asserts. "If you take too many aspirin, you might create a hole in your stomach, or you take several Tylenol and go out drinking, that might just kill you or put you into liver failure. If you take any pill, no matter what its purpose, there's a good chance it will do something to a different organ. With Botox, you go after what needs treatment; in this case, selective muscles. It's a fantastic medicine because it stays where it's put." Spokane advanced registered nurse practitioner Amy Schaffner, a Botox proponent, took little convincing about the plausibility of Finzi's potential treatment regimen. "It's a new thought," she says, "and all psychosocial research is a little avant-garde. That's just the way it is ... but I believe it's possible that the change in expression dictates the emotion. And happiness is the one emotion I associate with Botox." Schaffner admits to being happier when her frown is frozen. "I've let my own Botox treatments go before, and I feel old and not as confident, and a little depressed about feeling old, tired and down. Part of it is because when you feel pretty and confident, it affects how other people respond to you." That, in turn, informs the way you perceive yourself, she says. "There was a new patient — a Botox 'virgin' in her late 30s who told me, 'I look at myself in the mirror and I am always frowning, and I look so angry and sad. And I'm not that way,' At first I thought, 'She's too young for that to be happening' ... but then I saw her," Schaffner says. "Treating the corrugator smoothes all of that out, and I think they do feel better." In "The Muscle of Joy" chapter, Finzi examines the influential power of the smile: "If you want to sell anything, sell it on the promise of delight, the promise of happiness." But he promises that treating depression is nothing like selling happiness. "There is a difference between being non-depressed and depressed, and it's not happiness. It's just feeling normal," he says. Psychologists are weighing in about the pros and cons of treating deep psychological pain with subdermal therapy. Spokane psychologist Kristina Roberts has a few concerns about the efficacy of Botox for depression. She asserts that treatments should not be done in isolation, and that erasing frown lines may make her job harder. "I use facial expressions so much as an access to what's going on inside. Those facial cues help me to get a truer read," she says. "On the other hand, I'm humbled every day by the challenge of people in the midst of suffering. Who am I to close the door on a type of treatment?" Roberts estimates that only one of her current patients is operating at level 20 or above on the BDI scale. "Severe depression requires a concrete behavior focus: In a state of deep depression, life is so tenuous ... people are barely managing to care for themselves," explains Roberts. "They have lost the sense of hope and self-worth. We are often monitoring suicidal ideation." She points out that most severely depressed people don't even seek out help, because they don't want anyone to see how bad it is. "Just to get up out of bed, shower and get out of the house is a victory," Roberts concludes. Finzi says his acute awareness of depression stems both from his professional work and his own memories. "Having seen it firsthand from the time I was a little child, I've never been able to ignore [the struggle of depression]," says Finzi. "That's one reason why after my mother died, I really got so interested in this work... I felt so powerless that modern medicine couldn't help her: 'Couldn't there have been something I could have done?' You replay it in your mind with a different ending." Finzi says the tendency to "sweep mental illness under the rug" could work against FDA approval of Botox for depression, but he hopes that's not the case. "Getting depression out of the closet would be an important step ... to realize it is a powerful negative influence in our culture; one of the biggest causes of disability." Just as cosmetic Botox procedures led to the discovery of medical uses including migraine relief and stopping excessive sweating, Finzi believes expanded research, and ultimately FDA approval, can open up the possibility of more mental health applications. Once the holiday rush is over, January's lull is welcomed. With the start of a new year, it's an opportune time to focus on ourselves, and that's just what Rachael Swanson had in mind when she organized the first Health & Beauty Spa Show nine years ago. 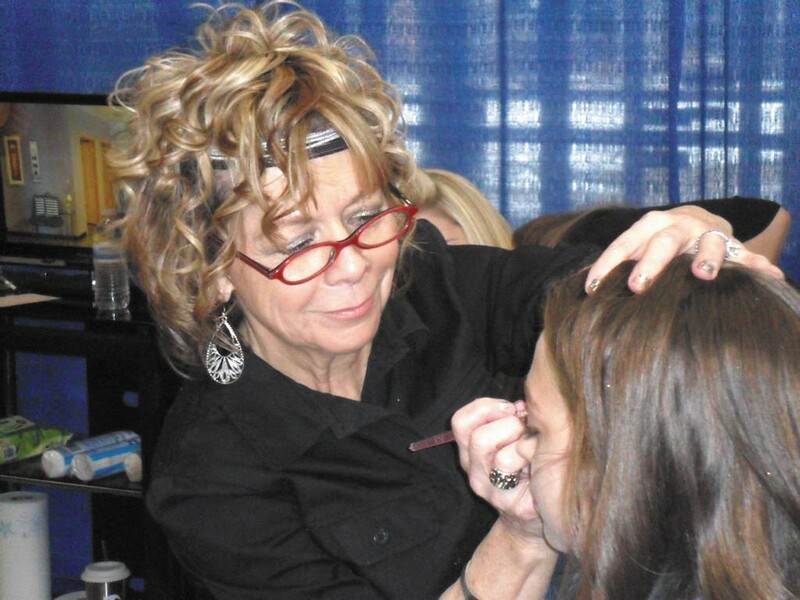 The two-day vendor show features nearly 100 local beauty and wellness service providers, offering express spa treatments including facials, waxing, hair styling, makeup application, massages and more — at sample-sized prices of $5 each. "It's a very hands-on event, and [attendees] can try different services for about half or less than half of what you would pay full price," says Swanson. "It's a fun thing for women to do in the dead of winter when there is nothing else going on." Though the show is centered around pampering and de-stressing, Swanson also turned it into a channel to give back to women in the community who are in less-favorable circumstances, by collecting donations for the YWCA's Alternatives to Domestic Violence Program. Show attendees who donate any non-perishable food or women's hygiene item at the door receive $3 off the regular admission price of $10. Each year Swanson estimates the donated items are worth as much as $3,000, along with about $1,500 in cash donations from vendor's service fees and event admission proceeds.